Our very first production run sold out in less than a week, more arriving mid- March 2017. 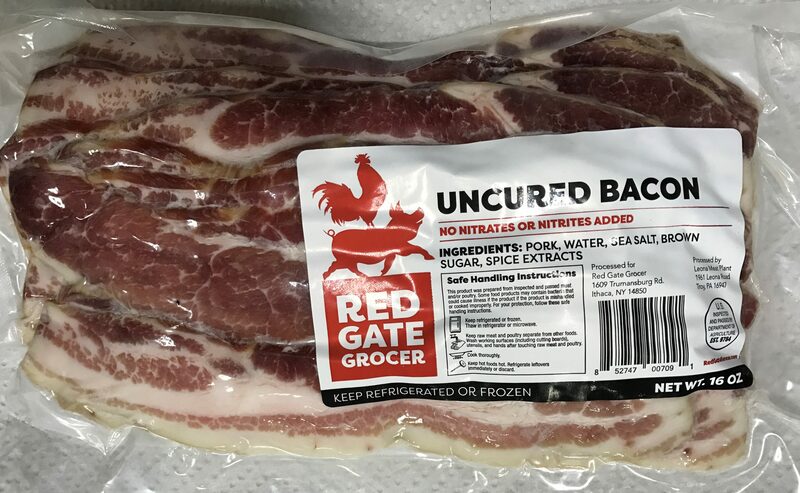 Bacon, Uncured, No Nitrates or Nitrites 12/16oz. Contains just Pork, Water, Sea Salt, Brown Sugar, Spice Extracts! First, my hit on bacon—I am not a crazy, bacon-belongs-on-everything kind of guy…but I do love me some pork products. In bacon, I’m typically looking for a thicker cut (unless I’m wrapping scallops or shrimp) with at least a 50/50 split between meet and fat cover, a nice even smoke and a tolerable salt level. I’m a believer that if you really want maple flavor in your bacon, you should probably serve it alongside pancakes. 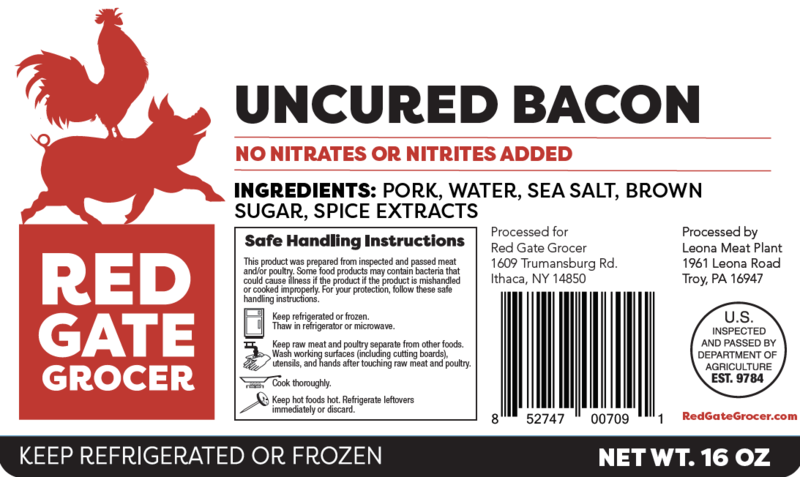 I have been sorely disappointed in many no-nitrate bacons over the years and as such, do not seek them out for my larder. I do, however, look for locally sourced and processed bacon and try not to pitch a fit when I see a Smithfield or Hormel pack in a friend’s fridge. Smoke/salt ratio was perfect (!) in my humble opinion—didn’t feel as though I needed to slug down my glass of OJ as soon as I swallowed. Nice tight seal on the packaging with a great pink color showing through. Slices were layered properly showcasing the meatiness of the bacon.